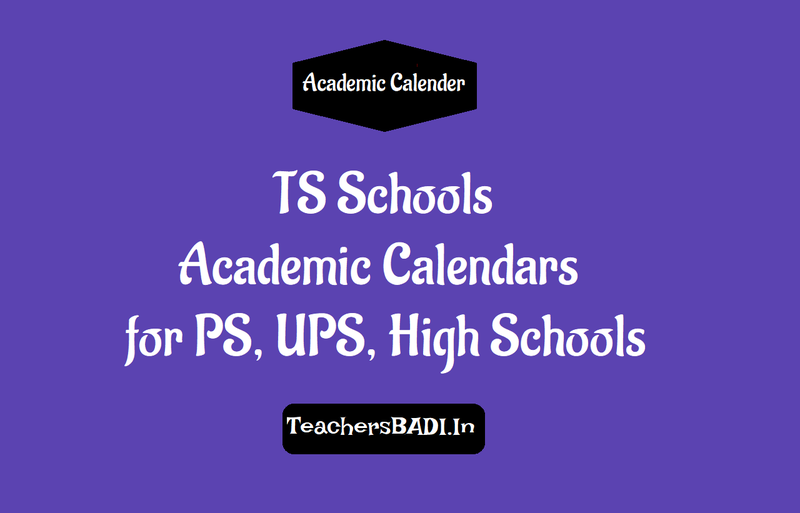 TS/Telangana PS, UPS and High School's Telugu, English and Urdu Medium Academic Calendars Download: The Commissioner and Director of School Education Department, Telangana State issued the instructions on Academic Calendar Implementation and Other academic related issues for the academic year through its office proceedings. 1. School timings for primary schools, upper primary schools, High Schools. School Education Department, Telangana has issued certain instructions on CCE implementation in all Telangana Schools including private recognized school. 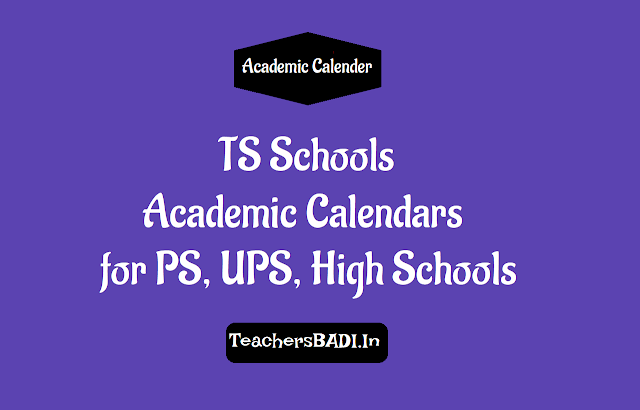 In this regarding, the number of periods and distribution of timings in the school time tables have been prepared for PS, UPS and High Schools and also subject wise allotment of periods per week in PS, UPS and High School for Classes 1 to 5, Classes 6, 7 and Classes 8, 9 and 10 separately prepared. In this connection syllabus distribution for both curricular and co curricular activities have been developed. DSE Officials has issued instructions for High School HMs and SAs for taking classes.